Ever dreamed of taking part in an opera? What if you could work with the world’s best? Find out how you can take part in our opera projects and get involved either on stage or behind the scenes. At Glyndebourne we believe in supporting and nurturing talented young singers and anyone interested in learning more about how an opera house works. We also know you never stop learning and our education work is not just for school children. We hope that our audiences will learn more about opera via our opera guides including Don Pasquale and La traviata. 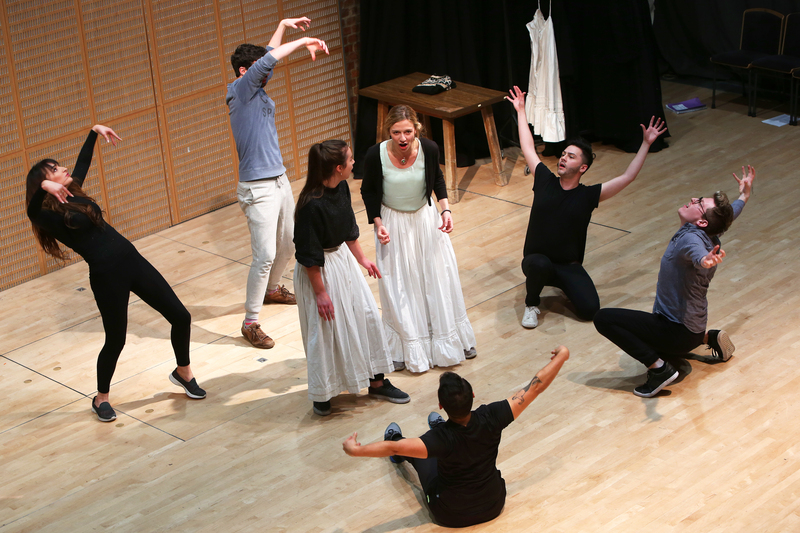 Auditions will take place in January and February for Glyndebourne Academy, an operatic development project that aims to support gifted and talented young singers. The Academy will focus on a small number of singers who show exceptional potential. Participants will be offered intensive training, mentorship, advice and guidance on future development and career pathways. This year we have two performances as part of the Glyndebourne Tour where your students can enjoy a fully staged production of either Verdi’s Rigoletto or Donizetti’s L’elisir d’amore. Find out how you can get involved with Glyndebourne education projects, with opportunities for local young people, adults, schools, and more. These include Glyndebourne Youth Opera, Performances for Schools, Glyndebourne Academy, and Raise Your Voice. Discover opera through our interactive guides and digital resources. Read about and explore the history of our education work, including a timeline of our work, details about our past projects, and participant case studies.